Union To Kick Off National Amateur Cup At Home — Union Dubuque F.C. 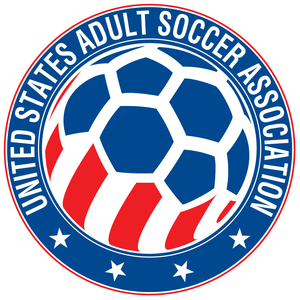 Chicago, IL - Last week, the US Adult Soccer Association (USASA) conducted the draw for its flagship tournament, the National Amateur Cup. Union Dubuque F.C. was drawn to play at home against Springfield FC, a UPSL newcomer, in a match that will take place on Saturday, April 13th, with kickoff set for 5:00 PM. The match will be played at Jack Fish Field on the campus of Emmaus Bible College. For more information on the match, see the link below. A total of 20 teams entered the Region II qualifying phase from the 13 states that compose the region. The large group of teams reflects a remarkable increase from just the six that participated in last year’s edition of the same competition. The single-elimination cup tournament puts the best amateur teams the country up against each other in head-to-head knockout play. The regional champions will be crowned on June 28th, with the champion advancing to the national finals to compete against the champions of the other three regions for the title of national amateur champions. The final four will take place over the first weekend in August. The national champion will receive direct qualification into the 2020 Lamar Hunt U.S. Open Cup, an invitation to play against the UEFA Regions’ Cup champions (European amateur champions), and a spot in the Hank Steinbrecher cup, which is effectively the American amateur super-cup, putting the NPSL, USL League 2 winners, and national amateur cup champions against each other for the ultimate title in American amateur soccer.